We provide diagnostic service and repair on all HVAC equipment. We respond quickly and efficiently to unexpected breakdowns that a client may incur, and have the ability to dispatch our service technicians in various area's from Napanee, to The Thousand Islands. We also service the Canadian side small Islands if transportation is provided by the client and also the larger offshore Islands via ferry access. First-time clients may require a maintenance & inspection service to be performed at the time of initial service call. Our rates are very reasonable and once the issue and solution has been determined the technician will advise you of the required repair if it exceeds the initial minimum charge amount. We do not use any “pricing scheme” like charging a low ball diagnostic and an inflated part replacement cost. In the case a technician needs technical support, it is provided and available, the client will not be charged for an inexperienced technicians ‘on the job training’ exceeding normal diagnostic and repair times. 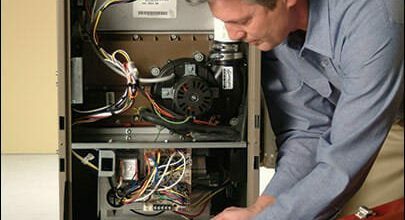 It happens, things break down... — repairing or replacing your furnace boiler or air conditioner can be a very costly can sometimes be a frustrating process. Give us a call. Sometimes we can assist over the phone and get you back up and running again, or get a technician over to help with the issue.